I’m teaming up with Mandy from Musings of a Shopaholic Mama today, and we’re each showing three ways to wear ankle boots. You can check out her post here. 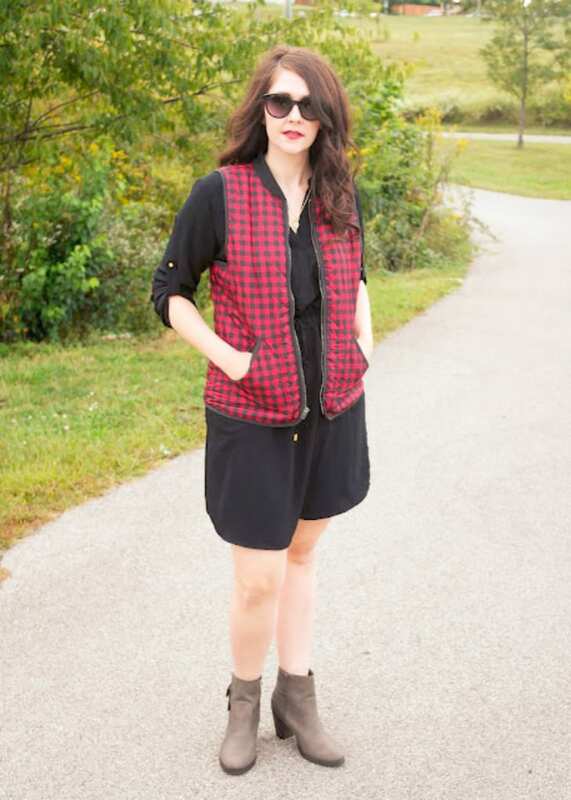 Ankle boots are such a great shoe because they’re easy to wear but still take your outfit up a notch. 1. Wear ankle boots with a dress. Ankle boots are so easy to pop on with a simple dress. Here I’m wearing them sans socks. You can get the details for this full look here. 2. Wear ankle boots with tights + socks. You can transition ankle boots to colder weather by throwing on both tights and socks. You want your socks to stick up 1-2″ over the top of the ankle boots. If you have longer socks, scrunch them down. You can get the details for this full look here. 3. 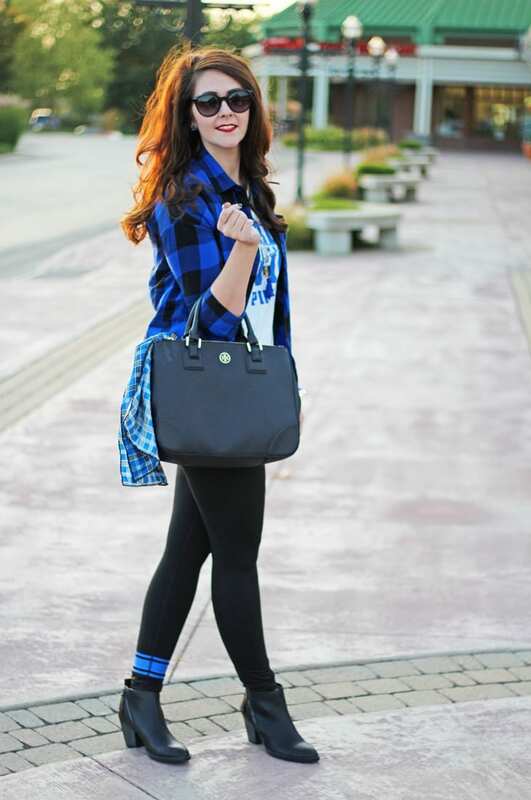 Wear ankle boots with leggings. If you’re wearing ankle boots with leggings, make sure the leggings are long enough to meet the boot. This elongates your legs. You can get the details on this full look here. Extra tip–if you’re wearing ankle boots with jeans, on the other hand, ditch any socks that show and roll your jeans (1″ or less thickness to the roll) to where they hit just above the ankle boots. When shopping for ankle boots, I recommend purchasing a pair with a block heel (thick) and a cute detail, whether it’s a zipper, buckle, or laser cut-outs. If you’re still searching for the perfect pair of ankle boots, here are some cute options, all for less than $60! Some are actually much cheaper!!! 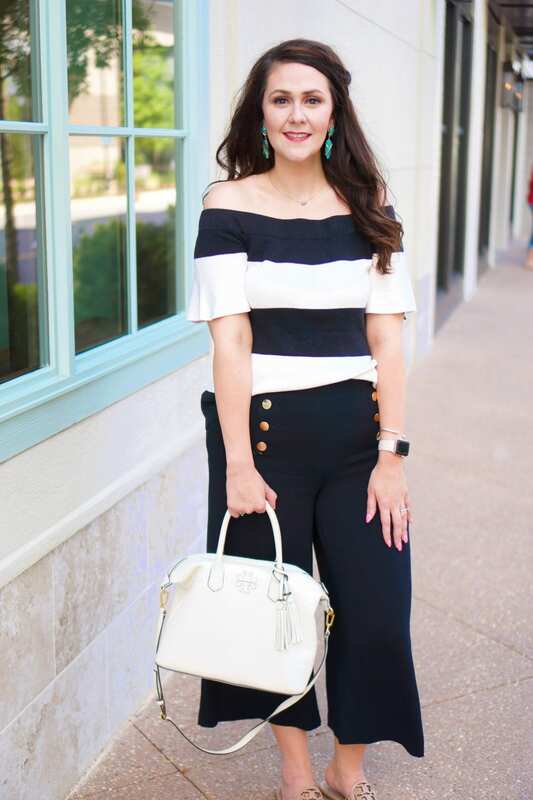 Don’t forget to check out Mandy’s post here for more styling ideas!